NLD RFU has in place a programme of ‘player identification’ using appointed NLD coaches as well as the ‘Player Development Group’ (PDG). This supported through close liaison with schools and clubs within NLD to ensure that any players deemed to be performing in line with positional expectations at CB level are monitored accordingly. The NLD under 16s squad for the 2018/2019 season (i.e. last seasons under 15s and the new seasons under 16s) will be made up of boys who are eligible from the Leicester Tigers PDG and those who trial successfully. It is therefore important to manage the expectations of players that you nominate, ensuring that they are aware that the process is highly competitive and will require each player to produce their very best at trial and beyond, should they be successful. Please note that boys within the PDG are not selected automatically and players will be selected on current ability and potential. The first trials will be held on Monday 29th October and Monday 5th November for all players that are not currently involved in the PDG group, due to large numbers last year we are doing the trials in two groups this year’s so players have a greater opportunity. All players who attend this trial must be nominated in advance by their club or school coach and there is a limit of 2 player nominations from any one club or school, preferably one forward and one back. We cannot consider any player for trial that has not been nominated by their club/school coach. All successful players will then be invited to attend the final trial alongside the players from PDG on Monday 3rd December, following which a playing squad will be selected. The trials will be held at Newark RFC, the venue for the training sessions & matches will be confirmed shortly. Please ensure the document is filled out in full. Closing date for nominations is Monday 22nd October. The selection process and structures season has been extremely successful in recent seasons with an excellent series of match results and, more importantly, a number of NLD boys going on to represent Midlands and England. All clubs and schools within the NLD region are thanked for their continued support. NLD are very excited to invite applications for the NLD U16 Representative Squad Head Coaching role. This is a fantastic opportunity to get involved with developing some of the best young players that the CB has to offer and be a part of the journey that has seen numerous players from NLD go on to represent Midlands & England. The NLD U16’s Representative Programme runs from November – February with matches being played post-Christmas. The Job descriptions for the post can be found by clicking here. Interested parties should complete and submit this application form to [email protected] by the closing date of Monday 22nd October 2018. Interviews will take place during the final week of October/ first week of November, venue and time tbc. Please note those applying for the position will be expected to deliver a coaching session as part of their interview process. Further details regarding this element will be given if invited to interview. Leek RFC hosted Staffordshire v NLD on a cold but sunny afternoon in the final U16 game of the 2017-18 programme, rescheduled after the weather had thwarted the original match date in January. Staffordshire started the better of the two teams using a well drilled pack to crash over the NLD try line following a line out, NLD responded with some good running play resulting in a penalty which was slotted over from almost in front of the posts. 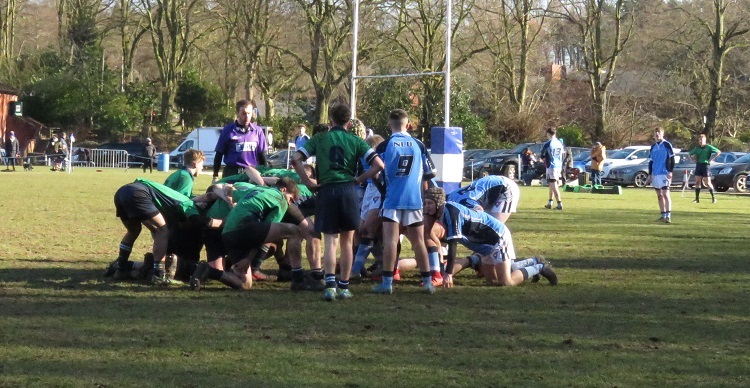 They followed this up with a well worked move off a scrum with the backs showing how devastating straight running can be which resulted in a try under the posts which was duly converted. 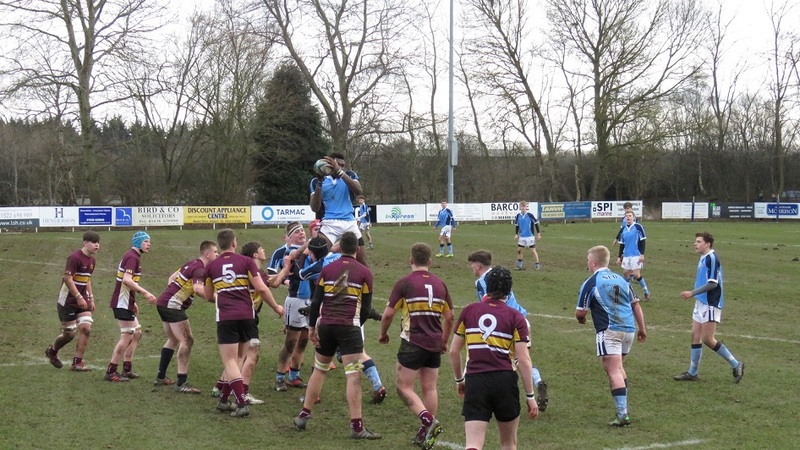 Then within sight of halftime Staffordshire scored twice converting one to take a 19-10 lead into the break. The second half saw both sides ringing the changes and the NLD backs started strongly running the Staffordshire defense ragged for a well worked converted try, this drew an equally well worked converted try by Staffordshire. Another NLD try out wide closed the gap to within 4 points and with time running out NLD tried running from deep only to spill the ball. From the resulting scrum the Staffordshire pack went back to the tactic that brought their first try and they were rewarded with a try. Staffordshire then controlled the ball from the kick off and ran the clock out to take the win. A great effort by a much changed NLD team, a big thank you to the players called up during the week, one only 48hrs before the game. A special mention this week to the parents who took the honors on the side line being far more vocal than the Home supporters. Also thank you for chauffeuring the lads to training and matches this season it is much appreciated. As the NLD U16 Programme concludes for 2017-18 we would like to thank the Coaching & Management Team, all of the Players involved in the Squad, Parents & Supporters as well as the Clubs for their support of the Programme. Information regarding the 2018-19 NLD U16’s Programme will be released in due course. For their only home game of the campaign NLD hosted Leicestershire at Newark RFC on Sunday 18th February. The sun was shining on a dry afternoon that was perfect for rugby. Leicestershire opened the scoring with a well worked catch and drive in the first 10 minutes, before NLD found their composure and with some powerful runs made by the forwards and hard straight running from the backs fought their way back into the match. As a result of sustained pressure they opened their account with a converted try. Halftime saw NLD leading 7 points to 5. Early in the second half the NLD pack caught and drove over the Leicestershire line for an unconverted try. At the resulting kick off the NLD no 8 caught the ball and carried it straight back to score NLD’s third try of the game. This spurred Leicestershire on and their forwards sucked in the NLD defense creating space out wide for their backs to score in the corner. NLD responded with a well worked converted try involving both forwards and backs. The away side piled the pressure on the NLD defense and a great cover tackle into touch saved a certain try. With less than 10 minutes to go Leicestershire scored what was to be the final converted try of the match, coming from a quick tapped penalty. The clock then slowed down and after a long period of pressure from Leicestershire, NLD forced a turn over and the final whistle saw them secure the win 24 – 17. 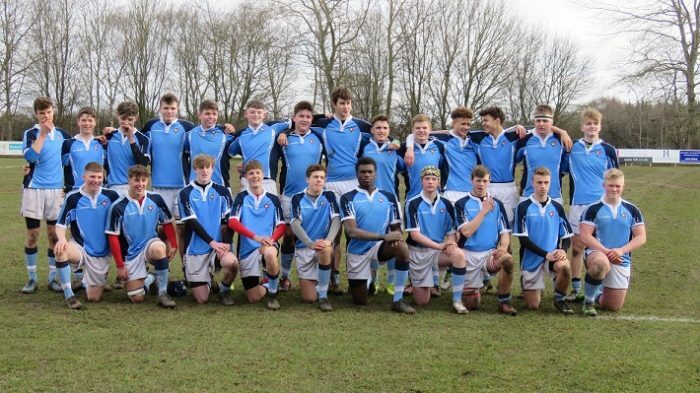 The NLD U16 Squad will now face Staffordshire in their rearranged fixture from January on Sunday 25th February at Leek RFC to conclude their 2018 programme. 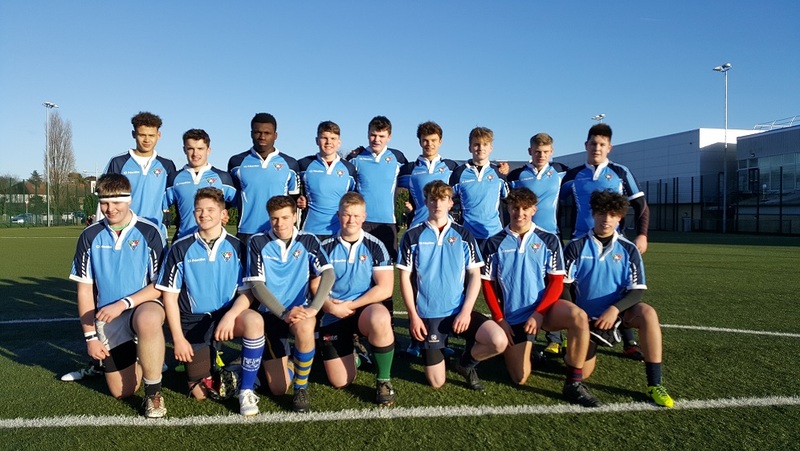 Following the cancellation of the match against Staffordshire due to the weather the NLD U16 Squad made the long trip to Holt RFC to take on Eastern Counties in their next match on Sunday 4th February. All four seasons of the year made themselves known throughout the game with sun, hail, rain and finally sun again! The NLD Squad felt the affects of not having trained together since the last match at the beginning of January, again due to the weather conditions, and struggled with lack of continuity which ultimately proved the deciding factor. Despite much of the possession for long periods the squad were unable to capitalise and Eastern Counties went into the break with a converted try under their belts. The home side came out after half time firing on all cylinders and after sustained pressure on the NLD defence they crossed over again for a second try which went unconverted. The NLD squad will no doubt have learned from a touch match and will look forward to their next game against Leicestershire on 18th February at home at Newark RFC. England U20s have named their 32-man Elite Player Squad for the 2017/18 season and it includes former NLD U16 player Jordan Olowofela who now continues his rugby career at Leicester Tigers. Jordan, along with twin Ryan, represented NLD U16’s back in 2012/13 and quickly earned a Midlands call up which led onto his first England appearance in the U16 squad. He played school rugby for Lincoln Minster and also for Newark RFC before moving onto the Tiger’s Academy. 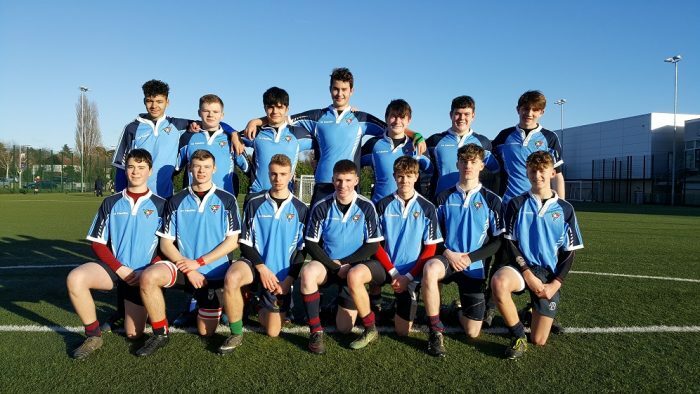 The Elite Player Squad, which will compete in the 2018 Six Nations as well as the World Rugby U20 Championship in May, will be led by Steve Bates and fellow coaches Anthony Allen, Richard Blaze and James Ponton. We wish Jordan all the very best as his rugby career continues to flourish. On a cold sunny afternoon the whole Squad took part in a “Super Sunday” fixture against Norfolk at Loughborough University. Playing on an all weather surface the match was played over three 35 minute periods which enabled the whole squad to take part. The first period was hard fought and Norfolk edged it 17 – 7. Due to the nature of the fixture both squads put out different team for the second period and NLD bounced back taking control from the restart, strong running in the Centre saw them break through time and time again and the forwards asserted themselves at the breakdown. By the end of this period NLD had opened up a 36 – 17 lead. The final quarter saw both teams make several adjustments and by the end of the match the scorelines had really opened up. Ten tries in total were scored in this period with Norfolk finishing strongly against a tiring NLD defense. Despite scoring on the final whistle Norfolk just came up short and NLD held on to win 60 – 53. The whole NLD squad showed some real promise and given they had only trained twice as a squad beforehand can only improve. The next fixture is away against Staffordshire in two weeks time.